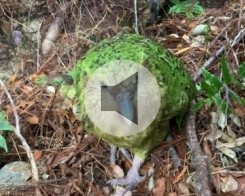 New Zealand scientists say the world's fattest parrot, the critically endangered kakapo, has enjoyed a record breaking breeding season, with climate change possibly aiding the species' unique mating spree. 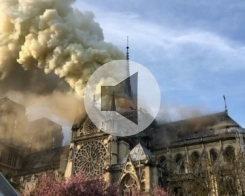 Cathedral bells toll across France in "solidarity" with Notre-Dame cathedral, ravaged by a huge blaze which broke out on Monday evening. They all sounded at 6:50pms, the time at which the fire began. Ajax stun Juventus to reach the Champions League semi-finals for the first time since 1997 as Matthijs de Ligt's thumping second-half header secures a 2-1 second-leg victory in the last eight.